What Is Life By Design For Chiropractors? Eventually it becomes known that I am the CEO of Life By Design Inc. and operate a Life By Design Certified Office. It’s a great question and the fact that you are reading this page means you would like to know the same thing! At Life By Design we innovate processes, tools and strategies to help chiropractors successfully transition and thrive in a 3rd paradigm chiropractic model. We do consult with chiropractors, have coaching services and sell products to help you create your ideal 3rd paradigm practice. However, there’s a pile of reasons we don’t fall into the category of traditional practice management. Since I have your attention, let me share a bit more about what’s really behind Life By Design and what makes us unique. We have big dreams for YOU. In chiropractic, there’s more than enough “vision” to go around for the growth, success and prosperity of the profession. In fact, it’s hard to believe that with all the years of sacrificing ourselves to “serve” the public, we haven’t taken our position as leaders in the health community. At least that’s the path most chiropractic gurus have sold us for decades! Our dream is for YOU. It is for you to be successful, for you to have the 3rd paradigm practice of your dreams. The one you’ve been told is impossible. The practice built on checking people for vertebral subluxations and correcting them when necessary for the sole reason that every human being is better off that way. Not chiropractic as part of an integrated health care team, not chiropractic with prescribing rights, not chiropractic with rehab, not chiropractic slipping in the back door with weight loss and multilevel marketing products…chiropractic the way you’ve always envisioned it. A solution to one of the many challenges our profession faces is for as many of you to be as successful as possible. 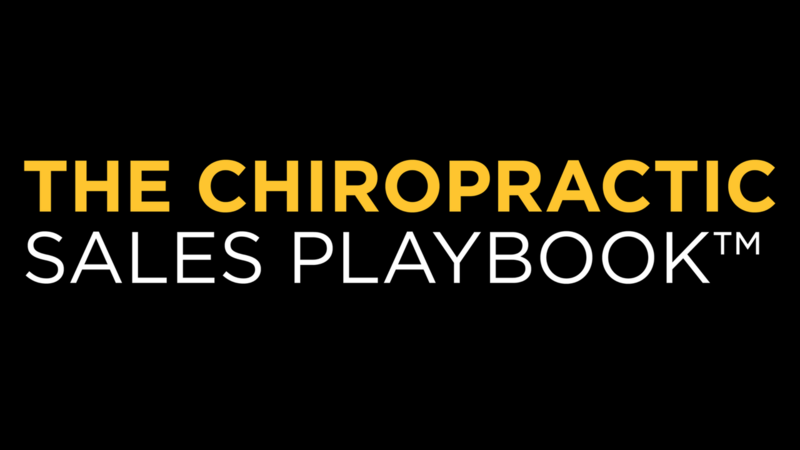 Forget about chiropractic for now…we want to help YOU. We have a love for business and entrepreneurship. Like it or not, you run a business, not a charity. You are not a servant, and above all, you DO NOT owe chiropractic anything nor do you owe chiropractic to anyone. You have the ability to deliver the greatest health care product on the face of the planet. That product should not be disrespected and given away to people who don’t value it. It should be traded with people who love and respect what you do. That may be a difficult lesson to learn but the sooner you do, the better off you will be and the healthier chiropractic will be as well. We have the acumen, the skills and results to ensure you will never need to rely on passion and spizz for success again. Life By Design will teach you how to action tested business principles and apply them to your chiropractic practice. We have a strong commitment to marketing. To be blunt, chiropractors are terrible marketers. I’d go as far to say that this is the major reason why chiropractic (and possibly your personal practice) has failed to gain any significant share of the market. The only thing “chiropractic marketing” has achieved is a public awareness that we treat aches and pains, fix bad backs and necks, and that there is always another chiropractor willing to do it cheaper. We have managed to turn the best health care product on the market into a commodity, not to mention making ourselves the laughing stock of the health care community. Life By Design has spent countless hours studying marketing principles and strategies. We have trained with some of the world’s best non-chiropractic marketing experts and invested thousands into developing world-class and cutting edge marketing that works for the chiropractic profession. 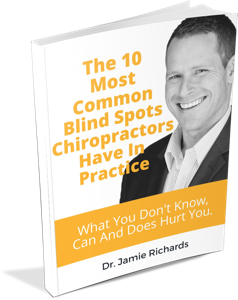 We can show you how to reverse the trend, positioning your practice as the leader for health restoration and optimization within your market. We are fanatical about quality communication. There are few topics in chiropractic given as much lip service as communication yet what passes for the profession wide standard for quality is weak at best. Recycled mantras, out-dated dogma and gimmicky sales language lead the way and reinforce our used car salesman reputation. Communication must be crafted, intentional, articulate, intelligent, correct, and most importantly, leads to a desired result…action! More thought and development has gone into this area of Life By Design than any other…and it shows. If you want to be free of scripts and lead intelligent conversations that move people. We can help you. What About Nutrition, Exercise and Mindset… Isn’t Life By Design A Lifestyle Program? We do help make recommendations on what to eat, how to train, and how to properly pursue happiness. But… we DON’T make nutrition, exercise and thinking the focal point… We LEVERAGE those things to help your community understand the BENEFIT of what you do… check for and correct subluxations. It’s funny; most people know that once you start eating properly you should probably do it for the rest of your life. The same people know that exercise works the EXACT same way (once you start exercising you should always exercise); THE SAME people ALSO know the importance of pursuing happiness. Really, how hard can it possibly be to get them to understand that regardless of symptom or condition they are better off un-subluxated for the rest of their lives? Not that difficult actually. Our mission is to help chiropractors become the respected doctors that they deserve to be. Life By Design will show you how to create a true chiropractic practice… the one you’ve always wanted but never believed was possible. PS. In case you’re wondering…yes, it’s going to take work…a lot of hard work actually. That said, it is absolutely possible and we can show you how.